When a homeowner undertakes a remodeling project, the NAHBR wants to be sure it will be done in a manner both safe and affordable. This group oversees professional education for remodelers nationwide, helping them improve their business practices and technical expertise. Tim Ellis, a member of this year’s Board of Trustees, plays a critical role in the formation and further development of the NAHBR’s education programs. 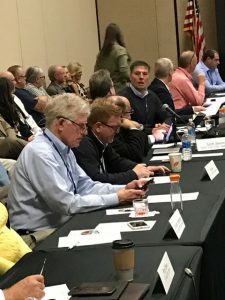 The photo shows him at the semi-annual board meeting, which was held in conjunction with the International Builders Show (IBS) in Orlando, FL in January. 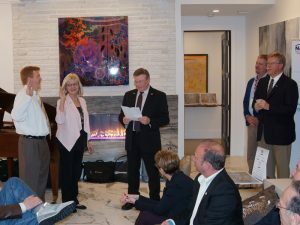 Excitement was in the air at the swearing-in ceremony for the new 2017 Chairman of the Board of the NAHBR, Dan Bauden. Each year the installation of the upcoming Chairman is celebrated with a special dinner. This year the event took place at the New American Remodeled Home that was on display as a part of IBS 2017. Tim Ellis also participated in the ceremony as he committed himself to lead and guide the association as Chairman of the Board for 2019. 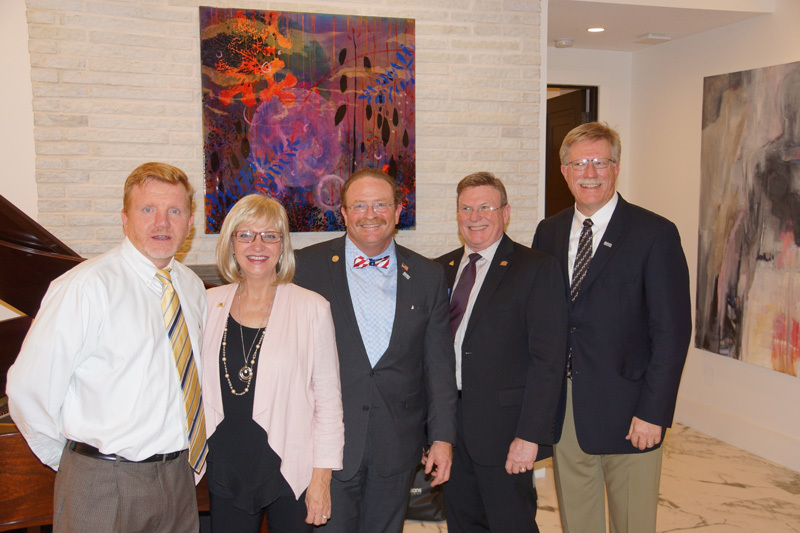 The New American Remodeled Home was a project undertaken by an NAHBR member and actively promoted by the NAHBR as a model for remodelers across the country. The house was built in 1987 using typical styles and materials from that era (stucco, mauve-colored carpet, and a segregated kitchen) It was totally transformed into a beautiful contemporary highly efficient home with stunning design. We’ll be featuring this gorgeous remodeling project in an upcoming eNewsletter. Sign up to receive our monthly eNewsletters here. Outgoing chairman, Tim Shigley (right) passed on the gavel to the 2017 chair, Dan Bauden (center) in a ceremony officiated by Greg Ugalde, the 2017 second vice chairman of the NAHB (second to the right). Also sworn in during this meeting were the upcoming leaders for 2018 and 2019, Jo Theunissen (second to the left) as 1st vice-chair and Tim Ellis (left) as 2nd vice-chair.